The Ujjayanta Palace is located in the city from the beginning of the 20th century and had been the seat of royalty till the accession of Tripura into Indian democracy in the year 1949. 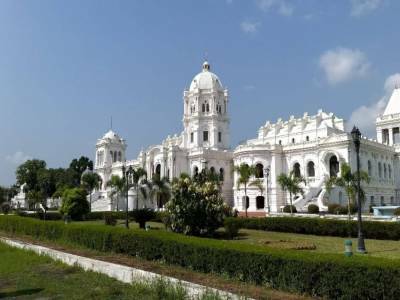 The Ujjayanta palace was bought off from the royalty in the year 1973 by the Tripura Government and since then it has been operating as the legislative headquarters of the state till 2011. 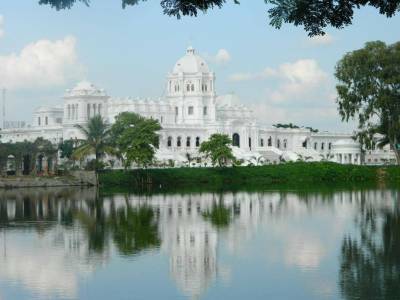 A part of the palace has been converted to the Tripura Government Museum in the year 2013. 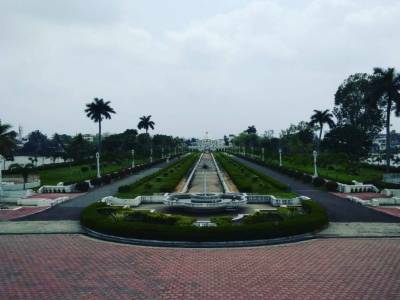 The palace is a great place of tourist attraction as it gives out the feel of both aristocracy of Tripura history along with the modern glamour of Tripura. The name Ujjayanta Palace was coined by the great poet and 1st among Asian Nobel awardees, Rabindranath Tagore. According to history, the princely state of Tripura has been under the rule of Manikya dynasty for as early as 1400 CE. 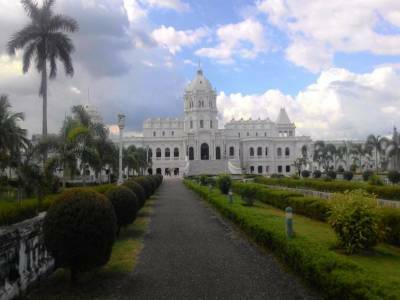 The first palace of the modern day royalty was built about 10 KM away from Agartala in the year 1862 by Maharaja Maha Manikya. The palace was left devastated in Assam earthquake of 1897 and the new palace of Agartala was built by Maharaja Radha Kishore Manikya in the year 1901 with the construction of Martin & Burns Company. The Palace is a great big fort built by admixing Hindu, Arabic and Gothic architectural styles. The Palace is encompassed by Mughal gardens and the buildings of the palaces alone with courtyard and balconies make a visit worthwhile. 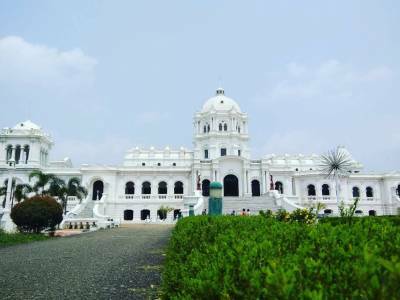 The tourist will get the taste of euphorial Tripura history and culture to the fullest visiting this Ujjayanta Palace of Agartala, Tripura. Get quick answers from travelers who visit to Ujjayanta Palace.